Senior Maddi Hooks scored four goals and had four assists in Mater Dei's victory. 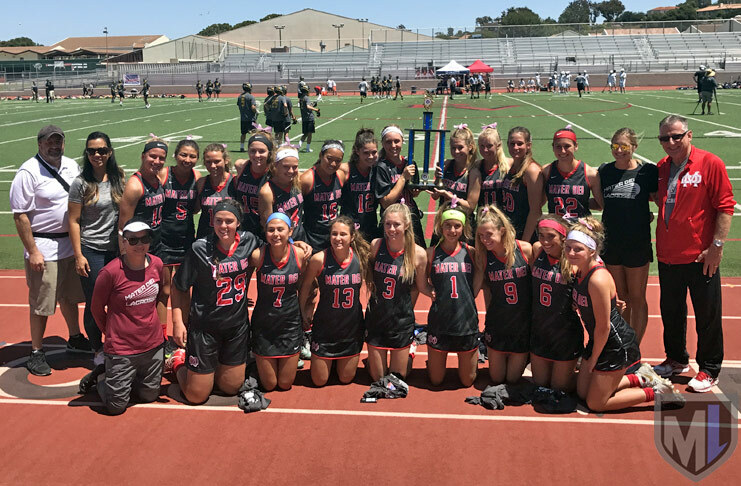 PALOS VERDES — Maddi Hooks scored two goals within the game’s first minute Saturday, and the Mater Dei Monarchs ran away from Redondo Union to win 21-11 and claim their second consecutive US Lacrosse Southern Section championship. The Monarchs (16-5), who beat Oak Park 15-4 to claim last year’s crown, ran out to a 5-0 lead before Redondo scored and led 12-3 with 9:28 still to play in the first half. Mater Dei was a perfect 16-0 against teams from Orange County and Los Angeles this season, losing only to teams from Northern California, San Diego and one from Tennessee. Mackenzie Wallevand was dominant on draw controls and scored three goals Saturday. The Monarchs Class of 2017 graduates with a four-year overall record of 62-17. Five of those seniors will play NCAA Division I lacrosse next year, including Hooks (Butler), who finished with four goals and four assists to lead the Monarchs’ offense. Lauren Gonzales (Fresno State) scored four goals and had two assists; Grace Houser (California) and Mackenzie Wallevand (Fresno State) each scored three goals and had two assists; goalie Courtney Wallburger (Fresno State) was credited with two saves. Wallburger’s save total was low because the Monarchs dominated possession time, controlling 20 draws, forcing eight turnovers and collecting 25 ground balls. Wallevand (11) and Houser (6) led Mater Dei in draw controls. Once the Monarchs’ lead reached nine at 12-3, they appeared to take their foot off the gas somewhat, allowing Redondo Union (16-4) to make a bit of run late in the first half. The Sea Hawks scored four goals in the last five minutes of the half to make the score 14-8 at the break. Coming out of the break, though, Mater Dei limited Redondo to one goal over the first 15 minutes of the second half while increasing its lead to 20-9. 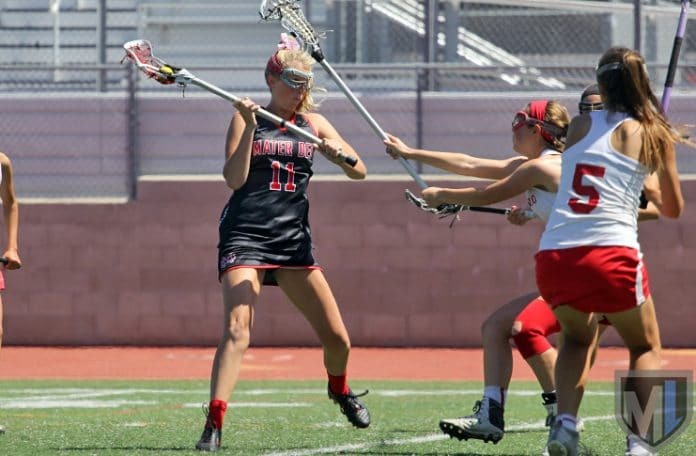 Junior Alison Shafer led Redondo with four goals and two assists, and sophomore Addy Bass scored three goals. Sophomore Emma Hodges had two goals and an assist, Sophie Ristorelli and Marianna Gamet each scored one. 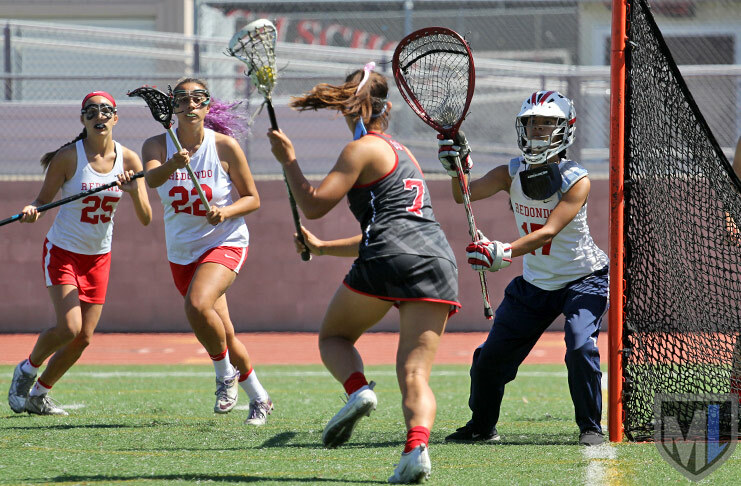 Senior goalie Melanie Paiz, one of only five seniors on the Redondo roster, made nine saves. 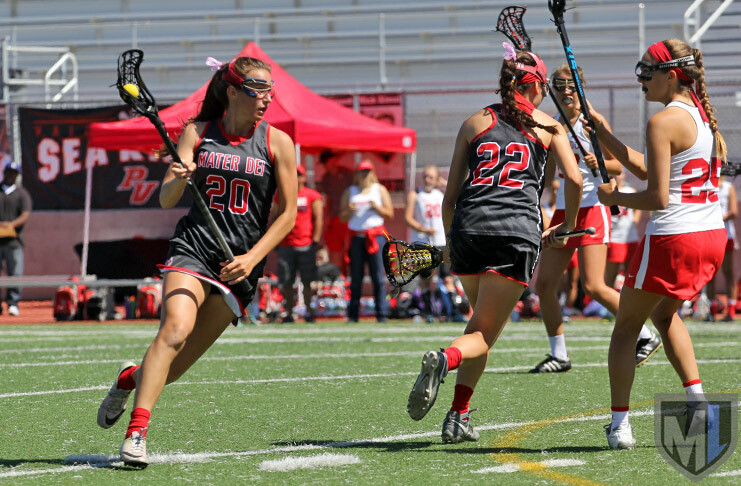 For Mater Dei, sophomore Tess Keiser and Peyton Smith each contributed three goals and an assist, and junior Sydney Payne had a goal and three assists. Sophomore Jaime Ko also had an assist. Sixteen of the Monarchs’ 21 goals were assisted.